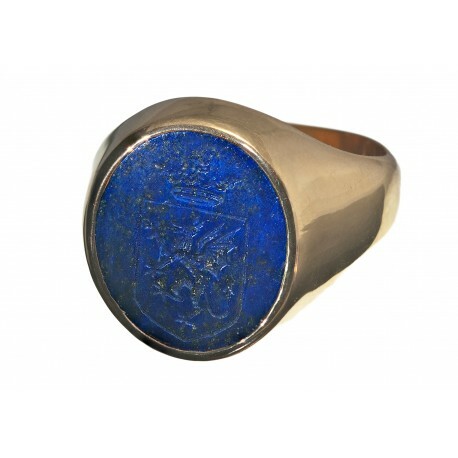 This hand engraved heraldic celtic ring with noble crest will leave a clear impression when used for sealing wax. 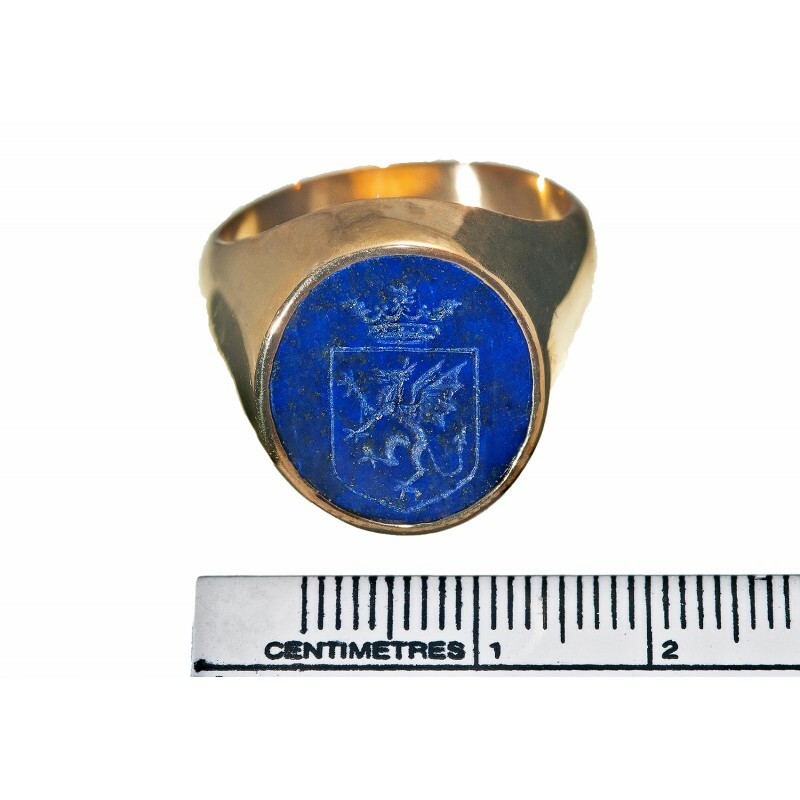 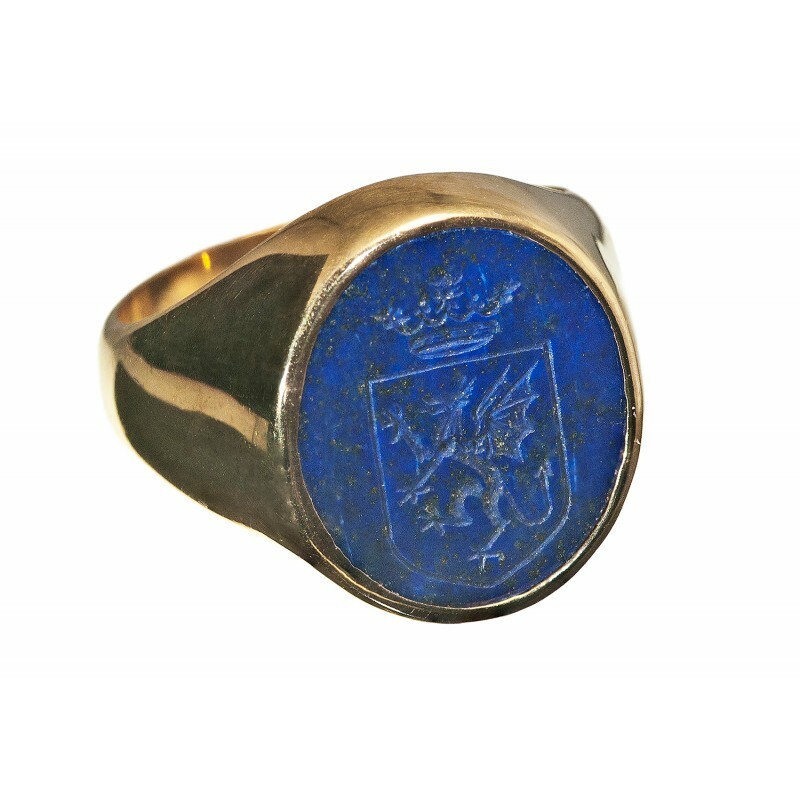 An oval of Lapis Lazuli has been carefully engraved celtic noble crest dragon with crown combines beautifully with gold plated sterling silver plain shpulders to complete a fine Regnas sealing ring. 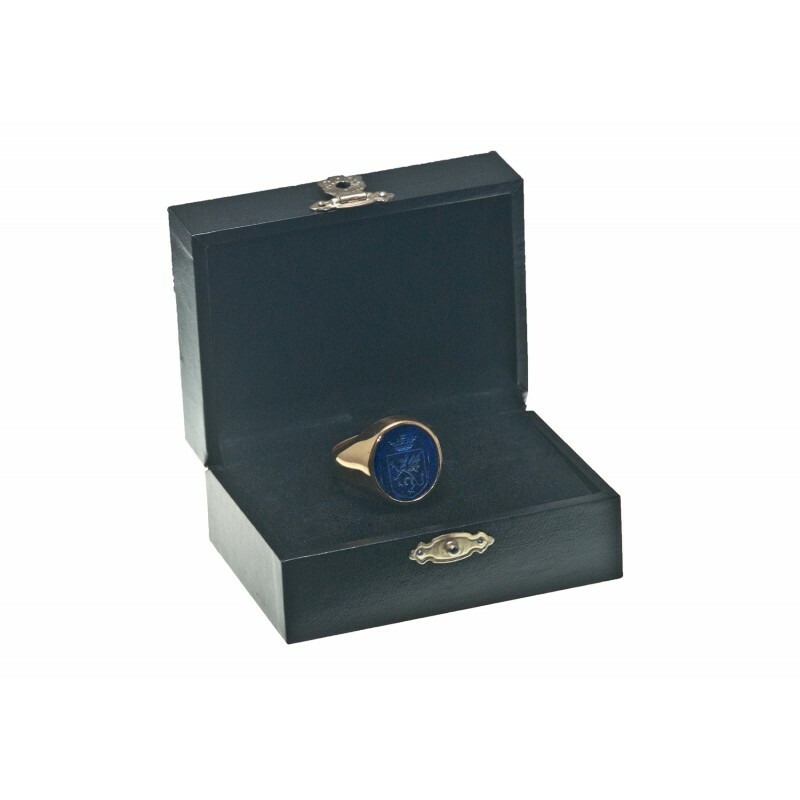 This fine, hand-crafted, crested sealing ring will be a stylish and treasured addition to your wardrobe. 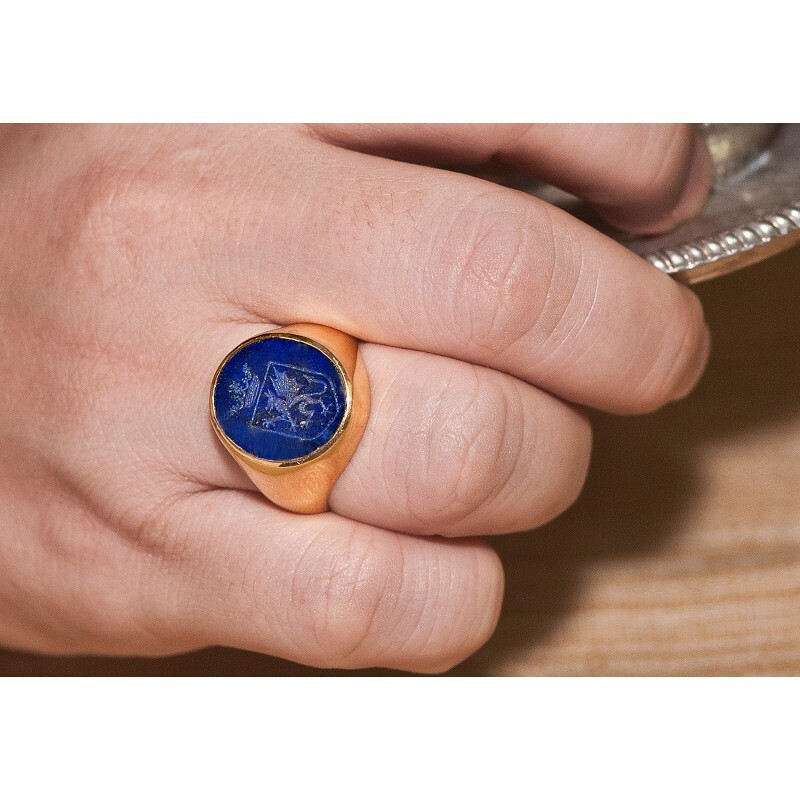 This is one of our medium sized Regnas rings suitable to be worn by men and women. That's why our high quality Celtic Rings are so affordable.